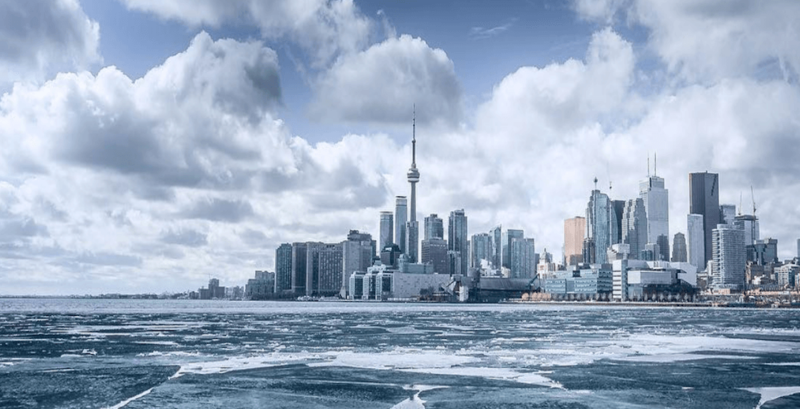 The City of Toronto has issued its first Extreme Cold Weather Alert of 2019. According to the City, the alert will be in effect until further notice. Extreme Cold Weather Alerts are issued by the City when the temperature is forecast to reach -15ºC or colder, or when the wind chill is forecast to reach -20ºC or colder. Environment Canada is forecasting mainly cloudy skies in Toronto for Thursday, with 60% chance of flurries. Winds will gust to 60/hr and although the high will be -6ºC, the wind chill will make it feel near -18ºC during the day. The City says that exposure to cold weather can be harmful to your health. Choose wool or synthetic fabrics for your clothes instead of cotton, because cotton absorbs and holds moisture, no longer keeping the wearer warm. Drink warm fluids other than alcohol. Consider rescheduling outdoor activities, or limiting time outdoors, during colder temperatures, especially if it’s windy. Heat your home to at least 21 degrees Celsius if infants or elderly people are present. Call or visit vulnerable friends, neighbours and family to ensure they are not experiencing any difficulties related to the weather. Stay warm out there, Toronto.